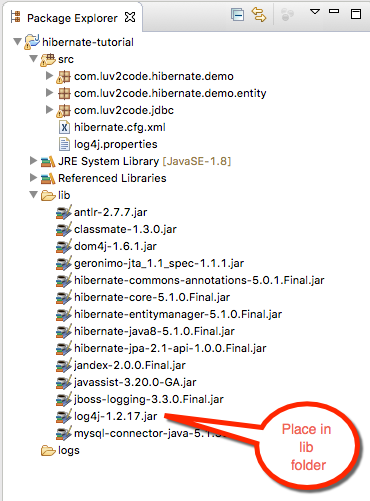 However, for debugging your application, you want to see the actual parameter values in the Hibernate logs. 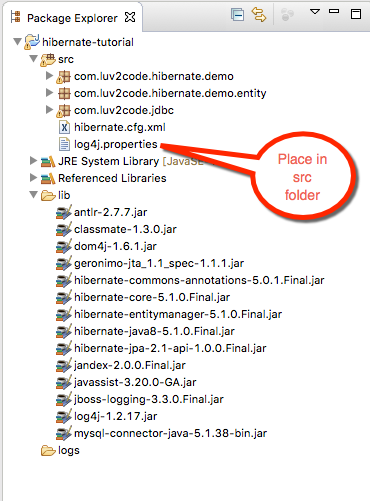 Basically, you want to get rid of the question marks in the Hibernate logs. You can view the actual parameters by viewing the low-level trace of the Hibernate logs. This is not set up by default. However, we can add log4j to allow us to see these low-level logs. 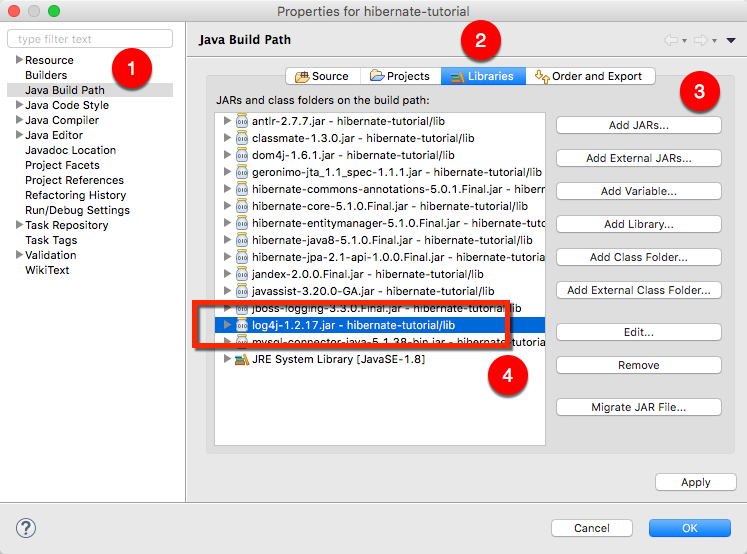 This allows you see a low-level trace of Hibernate and this allows you see the real SQL parameter values. Now run your application. You will see a lot of low-level TRACE logs in the Eclipse Console window. You will see the logs with the real parameter values. Congrats! When connecting to a MySQL database, you may encounter this scary warning message. Thu Feb 04 14:49:25 IST 2016 WARN: Establishing SSL connection without server’s identity verification is not recommended. According to MySQL 5.5.45+, 5.6.26+ and 5.7.6+ requirements SSL connection must be established by default if explicit option isn’t set. For compliance with existing applications not using SSL the verifyServerCertificate property is set to ‘false’. You need either to explicitly disable SSL by setting useSSL=false, or set useSSL=true and provide truststore for server certificate verification. Your app will continue to work fine … it is just the MySQL database yelling at you. To get rid of the warning message. Append ?useSSL=false to the end of your database connection string. Note that I appended ?useSSL=false to the end. That will get rid of the pesky message … whew!